Al Hilla (IBL) landed 23-year old American forward JaCardo Hawkins (203-104kg-95). He just graduated from Cal State - San Bernardino (NCAA2). In 26 games he averaged 11.8ppg, 6.7rpg, 1.1apg and 1.3spg last season. As mentioned above Hawkins is just out of the college and it will be his first season in pro basketball. He received All-CCAA Honorable Mention award in 2018 at his college time, he has played with Tennessee Tech University "NCAA" season 2016-2017 and he avearged 2.5ppg 3.0rpg in 28 games. Al-Naft and Al Shurtah reached the Final as both teams finished The Golden Box stage with 5-1 records on top. Al-Naft in the last game lost to Al Shurtah 79-83. Earlier Al Shurtah won also the thriller against Al Karkh 85-84. Al-Naft eased past Nift Al-Janoub 82-60. 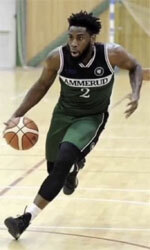 Al Shurtah Police (IBL) strengthened their roster with addition of 32-year old American (has also Bahraini passport) swingman Rashad Woods (197-100kg-86, college: Kent State, agency: Haylett Sports). He played recently at Kinmen Kaoliang Liquor in Taiwanese SBL league. In two games he recorded: 18.0ppg, 6.0rpg and 1.5apg this season. Woods also played for Bank of Taiwan (also in SBL) where in 6 games he averaged 19.7ppg, 5.0rpg and 2.2apg. Among other achievements he played in the final of Kuwait League in 2014. Woods received also Asia-Basket.com All-Kuwait League 1st Team award back in 2014. He is a very experienced player. Thanks to Woods' pro career he managed to play on four different continents (Asia, Latin America, Africa and of course North America) in ten different countries. Woods has played previously professionally in Cyprus, Mexico (Ostioneros de Guaymas), Philippines (Global Port), Qatar (Al Sadd and Qatar Sports Club), Saudi Arabia (Al Ittihad, Al Ansar and Al Fateh), Tunisia (U.S.Monastir), Kuwait (Al Qadsia), United Arab Emirates (Al Wasl), Peru (Real Club) and ABA (Houston Red Storm). 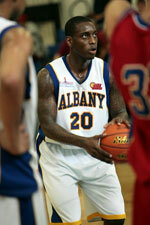 He attended Kent State until 2009 and it is his tenth season in pro basketball. Al Shurtah Police (IBL) landed 25-year old American guard Keith Frazier (196-86kg-94). He just graduated from The Univ.of Texas at El Paso (NCAA). In 17 games he averaged 10.7ppg and 4.6rpg last season. Among other achievements Frazier's team was regular season runner-up in AAC in 2016. He received also HS Dallas Morning News Area Player of the Year award back in 2013 at his college time. So his pro career will start in Iraq.